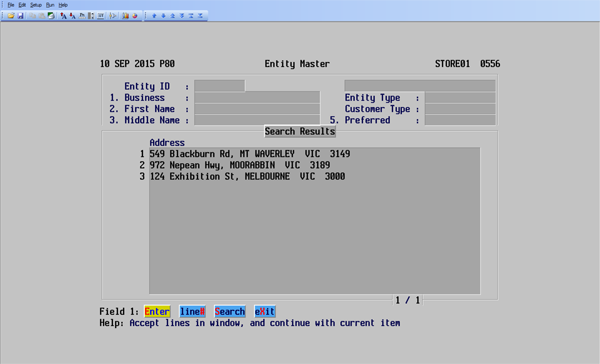 Dynamic Matching is an innovative tool using the latest data from Sensis, Australia Post, Yellow Pages, and White Pages to ensure client information is correct. Just like when you borrow a book from the library and you don’t have your library card, you provide them with your last name and they verify you using other details on file like your address and postcode. Dynamic Matching uses the database of existing information from Sensis, Australia Post etc to verify the new client into the system ensuring all customers information is correct. Let’s go through screen by screen how it works. 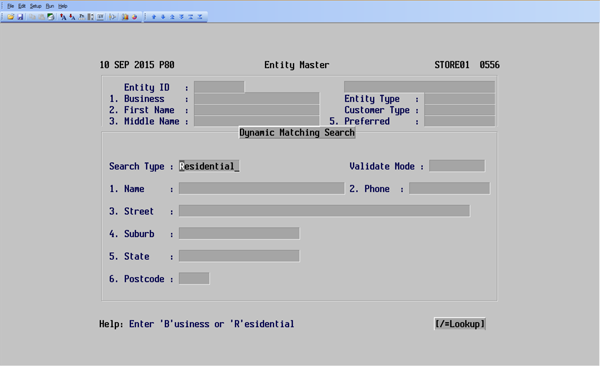 When entering new contacts into the database it will begin to search after you press ENTER. 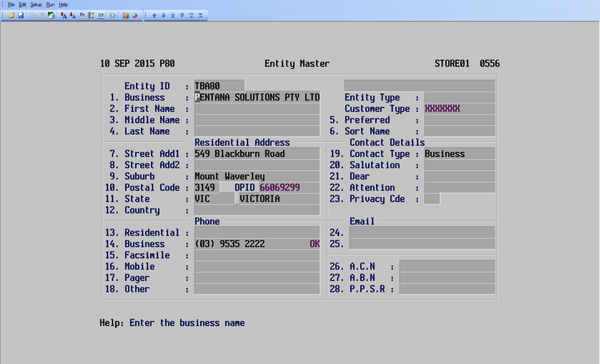 Simply confirm whether the address is residential or business in this pop up screen. 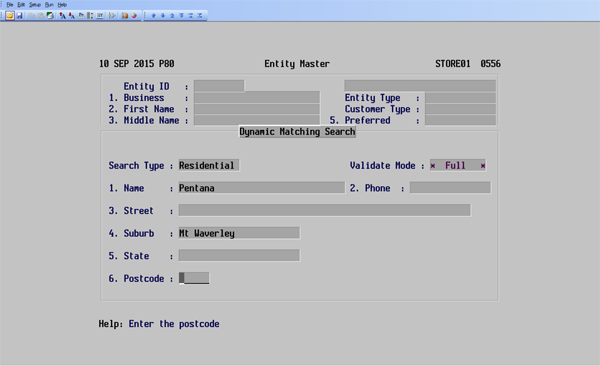 As you enter more information such as the Name, Suburb and Postcode the Dynamic Matching will work in the background to provide verified information. By collecting data through verified sources (Sensis, Australia Post etc) you’re now provided with a couple of options. Choose the correct option. Once the correct contact is chosen it will display and load all of the contacts details including the Digital Postcode ID. This has reduced the amount of key strokes, each key stroke is another chance of a typing error entered into the system. By using data provided to us by verified sources such as Australia Post the digital post box identification is provided ensuring mail will reach its intended recipient. If you collect other information such as an email address, the host for the email address is also verified. This now means you can rely on any marketing material to reach it’s intended recipient. Complete the below contact form to register your interest and have one of our expert consultants call to explain further.